In late December 2017, the MacArthur Foundation announced a historic $100 million grant to Sesame Workshop and the International Rescue Committee to create the largest early intervention education program for young children displaced by conflict and instability in the Middle East. Working together, these two unlikely partners pooled their unique strengths — Sesame Workshop’s 50-year history of producing early childhood education programs and IRC’s global network of foreign aid resources– to reduce the long- term impact of trauma on the nearly 30 million refugee children overlooked by other forms of humanitarian aid. Together, these organizations assessed the external realities impacting this population’s future, and the likely impact that future might make on society as a whole. The vision of the MacArthur grant and this extraordinary effort is a bold example of futures-centered design. In futures-centered design, the future (or a range of possible futures) is the focus of the attention — not at the exclusion of humans but in service of understanding how external changes might influence the world in which they live. It asks that we become more observant and attuned to highly important and uncertain trends that will meaningfully interact and change the broader context in ways, beyond our direct control. As a futures practitioner, designer and educator for nearly twenty years, I’ve been passionate about helping leaders of all ages develop more positive agency about their futures through the discipline of design. I recently started working as a designer-in-residence at the Stanford d.school, exploring new applications and frontiers of human-centered design in an increasingly complex and ambiguous world. At its core, human-centered design is a posture (a mindset), a process (a method), and a set of intentional practices (behaviors and skills) that support imaginative problem solving, individual agency, and creative confidence. Like human-centered design, futures-centered design is also a posture, process, and set of intentional practices. It empowers us to make more thoughtful choices by suggesting that the future isn’t pre-determined, but is a wider range of possible futures that we can and should explore and shape. • Futures-thinking asks us to take the long view: not one to three years out, but five-plus years. • Futures-thinking starts with the outside-in perspective, looking at the macro forces such as environmental, economic, or demographic changes that will meaningfully shape our world. This contrasts with the inside-out approach of most planning or forecasting efforts that moves from the inside-out, beginning with the industry or organization. • Futures-thinking requires input from multiple perspectives to challenge ingrained biases and assumptions and to foster new insights and connections. • Futures-thinking is a living process: it’s not about getting to a single right answer or prediction, but invites ongoing observation, pattern recognition, and conversation in service of adaptive learning and resilience. The cost of not proactively thinking about the future and “visiting it frequently” is simply too great to ignore. The negative impacts of climate change, inequities in education, neglected privacy and data boundaries, global mass migration, growing skill and wage gaps, and rising mental health issues may seem like problems for others to solve at another time, but properly understood, these are driving (and compounding) forces that will inevitably impact all of us — and may be interconnected in feedback loops that will prove more difficult to sort out with time. • How might we learn more about, invest in, teach, and share the postures, processes, and practices we need to shape a wider range of preferred futures? • How do we develop empathy for and about the future? • How will we know if what we imagine is useful or ethical, especially when the feedback loop may take years? • How do we communicate possible futures in ways that engage and include others? • How do we experiment with new approaches to scanning, sensing and synthesizing as we continually test our own assumptions about how the future might unfold? • How might we continue to promote creative confidence in a world that promises to be even more ambiguous and complex? The future doesn’t have to be something that happens to us. 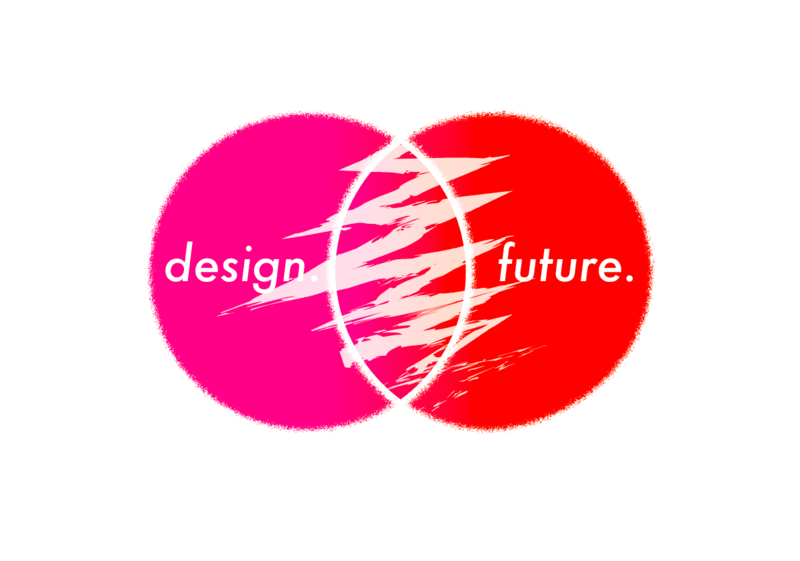 By embracing a posture of long-term thinking, new processes that make futures concrete and accessible, and a wider set of practices that collaboratively question, imagine, and communicate new possibilities, we can catalyze a new movement of futures-centered designers to shape a better tomorrow for generations to come. I’m grateful to my futurist and design colleagues Nancy Murphy, Tina, Seelig, Carissa Carter, Scott Doorley, Jeff Rogers, Adene Sacks, and Bonnie Kay for their invaluable contributions to this article.